With the recent apparent successes of several startups in taking their company public (initial public offering) and raising billions of dollars, I’m hearing a groundswell of enthusiasm from new entrepreneurs to follow in their footsteps to fund their companies and become billionaires overnight. "If Facebook, Yelp and Twitter can do it, then why not me?" Current IPO activity feedback seems to support their excitement. In the first quarter of 2014, the U.S. IPO market showed more activity than any other first quarter since 2000, with 64 companies raising $10.6 billion. 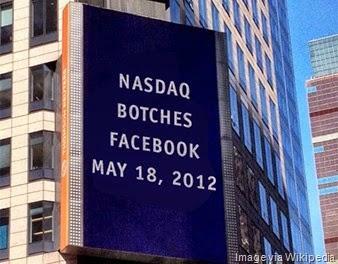 That is more than double the number of IPOs in the first quarter of 2013. With 103 new filings during the quarter, the rest of 2014 is on track to keep up this record pace. On the other side of the coin, new entrepreneurs seem to forget that 64 startups is a miniscule percentage of the companies seeking funding during the first quarter. According to the Small Business Administration, about 600,000 new businesses are started in the U.S. each year, and a large percentage are always looking for money. Taking a company public is an expensive process. It will take many months and require endless amounts of time, money, and energy. According to a 2012 study by PricewaterhouseCoopers, companies average $3.7 million spent directly on their IPO, in addition to underwriter fees of 5 to 7 percent of proceeds. It takes real money to find money.